The Ford Mustang was originally built as a pony car for the working man – a performance bargain with as much bang for the buck as any other car on the road. That still holds true today, but many of the unique and rarest Mustangs are now some of the most desirable and expensive collector cars on the market. Whether it’s a mint Ford Mustang Boss 429 or a Shelby GT500 owned by Carroll himself, some of the most expensive Ford Mustangs have changed hands for well into the six figures. “Firsts” of a new production model have commanded high figures as well, with the proceeds often going to charity. A standard 1965 Shelby GT350 is quite coveted, but this particular example is the one and only example ever fitted with a supercharger system. An early R&D car, it was used by Shelby as a prototype and featured a Paxton supercharger system that was later offered as an option on the 1966 GT350. The car sold at RM’s auction at Amelia Island in 2007, bringing more than half a million dollars. Given the current market, we’d guess it would sell for even more today. Click here for more details. Fully restored Boss 429 Mustangs are relatively plentiful, but how about a completely original example? This might be the most impressive in existence, with its window sticker and factory plastic wrapping over the steering wheel and seats still in place. It’s also one of the lowest mileage Boss 429s in existence, with less than 1,000 miles on the odometer. The car sold at Mecum’s auction in Monterey in 2013, bringing in $550,000. That makes it the second most expensive Boss 429 ever sold. Click here for more details. With the return of the GT500KR model in 2008, Ford and Shelby announced that the first retail example would be up for grabs at Barrett-Jackson. The car featured a black-on-black paint scheme, plus it would be the only car to be fitted with a glass roof option. Proceeds from the $550,000 sale all went to the Juvenile Diabetes Research Foundation. Click here for more details. 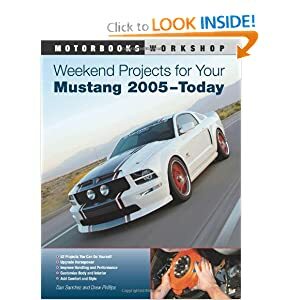 For 2007 Shelby announced that it would be partnering with Ford to produce the “Shelby GT”, a package inspired by the GT-H rental cars built for Hertz. The very first one, serial #001, went up for auction at Barrett-Jackson that year with the proceeds of the sale being donated to Carroll Shelby’s Children’s Foundation. Bidding blew past the half million dollar mark, eventually resting at $600,000 with every bit going to help a worthy cause. Click here for more details. We can’t really explain why this 1969 Mustang Boss 429 sold for so much. To its credit, this example of the first 50 examples built and underwent an extensive concours restoration, but the selling price of $605,000 is easily the most amount paid for one. The car sold at Barrett-Jackson in 2007, pre-recession, and perhaps there were two very determined bidders. Either way, it’s the most expensive Boss 429 ever sold at auction. Click here for more details. The return of the Shelby GT500 for 2007 brought plenty of excitement to the Mustang community, and that carried over to the Barrett-Jackson auction in January of 2006 where the first retail example was auctioned off. The $648,000 selling price makes it the most expensive “modern” Mustang, with all of the proceeds from the sale being donated to Carroll Shelby’s Children’s Foundation. Click here for more details. The 1969 to 1970 Shelby Mustangs typically aren’t the most valuable or collectable, but this 1969 Convertible has something that truly set it apart – it was actually owned by Carroll Shelby from new. After undergoing an expansive five year restoration at a Shelby specialist it was put up for auction at Barrett-Jackson in 2008, with an astounding final selling price of nearly 3/4 of a million dollars – $742,500. Click here for more details. Just 34 Shelby GT350 “R” models were built in 1965, and they’re some of the most coveted Mustangs in existence. It’s rare that one becomes available, and they command prices in the seven figure mark. This particular example crossed the block in 2012 at RM’s Monterey auction in August of 2012, and the final selling price of $990,000 made it quite nearly the first million dollar Mustang and the most expensive Mustang ever sold at the time. Click here for more details. The 1967 Shelby GT500 hero car of the movie “Gone in 60 Seconds” became an instant sensation, creating a whole new fascination with the car and spawning hundreds of knock-off replicas. Several examples were built for use in the movie, but this particular car was the most detailed example and was used in close-ups as well as the poster and promotional materials. It’s $1,000,000 selling price at Mecum’s Indianapolis auction in 2013 is a testament to the car’s influence on today’s car culture. Click here for more details. The rarest of the rare – the one-off 1967 Shelby GT500 Super Snake. Featuring a 427ci V8 from the Ford GT40 race car, the Super Snake was built to demonstrate Goodyear’s new “Thunderbolt” tire line. It did just that with a top speed of more than 170 miles per hour. A limited production run was planned, but the $8,000 price tag – even more than the cost of a Shelby 427 Cobra at the time – discouraged potential buyers. The initial test car remains the only built, making it the most desirable Shelby Mustang in existence. When it sold for $1.3 million at Mecum’s Indianapolis auction in May of 2013, it also became the most expensive Mustang ever sold. Click here for details.